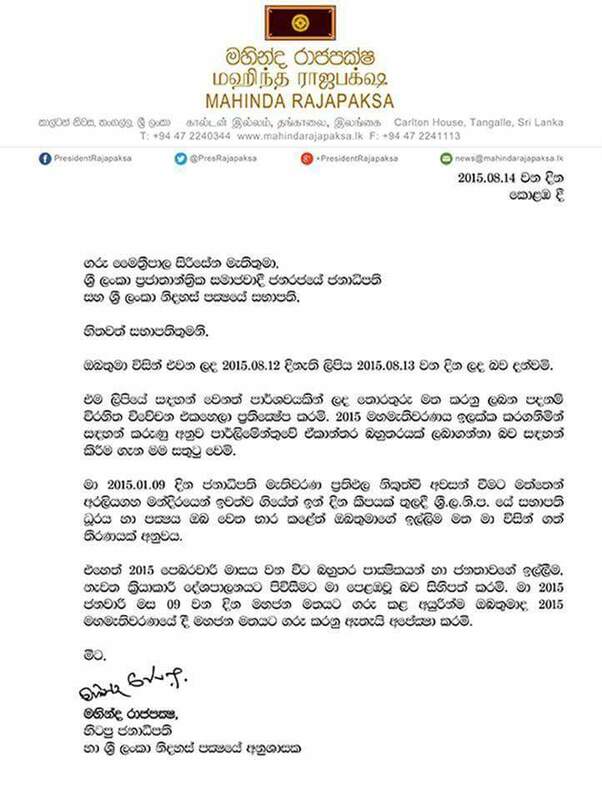 Former President Mahinda Rajapaksa has replied to the letter sent by President Maithripala Sirisena. Former President Mahinda Rajapaksa says that he rejects the baseless criticism levelled on the information received by a third party. Former President Rajapaksa states that he entered active politics once again in February based on the request made by the majority of the supporters. Former President Rajapaksa states in the letter that he anticipates President Maithripala Sirisena to repect the public mandate following the general elections, as done by him on January 9 this year.